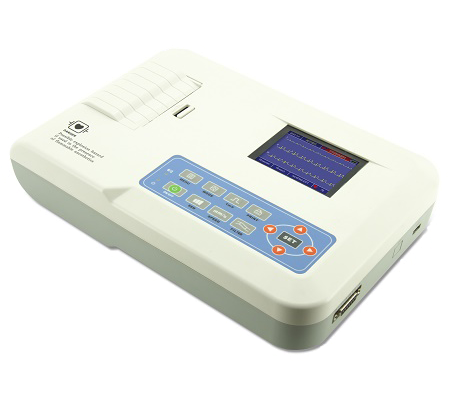 2.7” Stn-LCD,accurate and clear ECG waveform display. Continuous record for ECG waveform and annotation. High-resolution thermal printer achieves real-time print of ECG waveform. Power supply AC/DC, built-in rechargeable lithium battery. 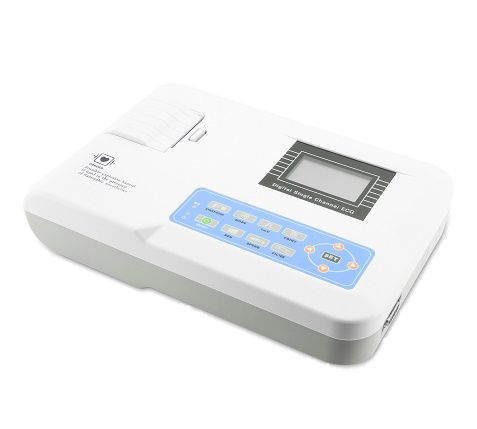 Record up to 160 ECG waveform. 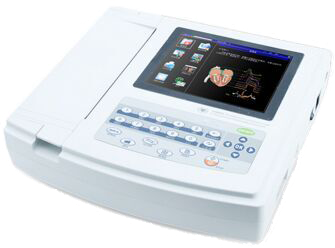 Sync collection for 12-led ECG, display 3/6 lead ECG on one screen. High-resolution thermal printer achieves real-time print of ECG waveform and report. 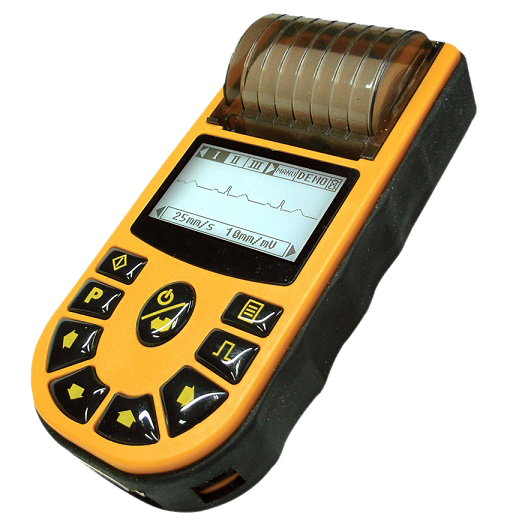 Optional ECG-Sync software achieves sync collection, storage and analysis of ECG data. Power supply: AC/DC, built-in rechargeable lithium battery. Operation mode: touch screen and function keys. Sync collection for 12-led ECG, free combination for baseline, AC and EMG filter. Store up to 1000 cases, convenient for case review and statistic. Please write with subject head "ECG Pricing", and specify the Model required.